Bonjour lecteurs! Is your little one in love with Upsy Daisy or Makka Pakka? Well, Baba is a huge fan of the famous TV programme. So when I heard the new live show was coming close to us, I made sure we were there for a fun family day out! As I already told you in our Living Arrows 22/52, we had a lot of Frenchie adventures that week and ending it with one of the most famous shows was probably the perfect way! Are you too thinking about seeing it? But not sure yet? 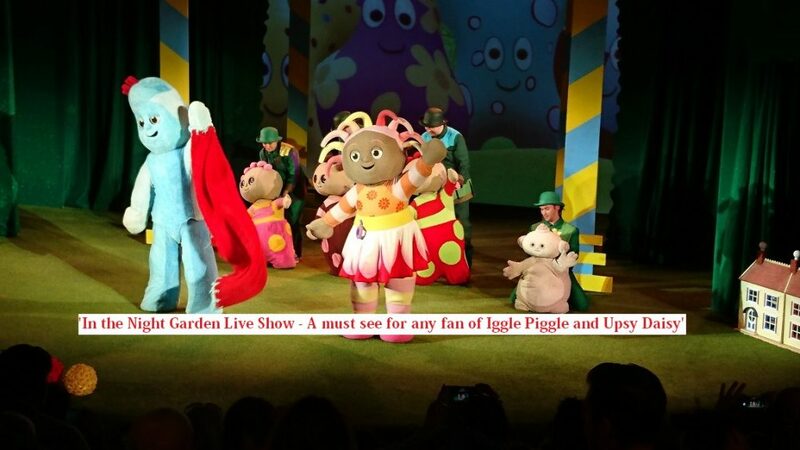 I hope this post In the Night Garden Live Show Review will help you to make your mind up! The Frenchie family arrived at the show! Be prepared to be won over by Upsy Daisy! 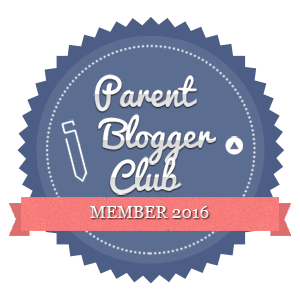 Such a hassle free experience for parents! I am sure you are aware of it. Organising a children’s activity is not always simple. 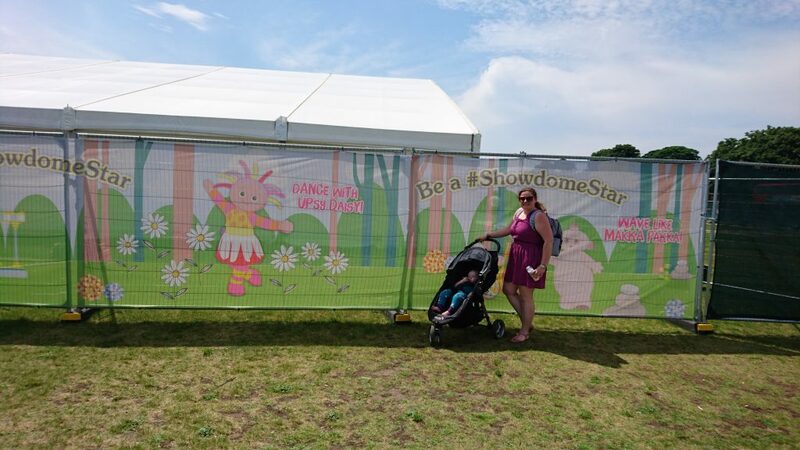 The show we attended was taking place in Blackheath and it was great to see that the event had a full area reserved for customers to park. We made the most of it and even enjoyed a cheeky pub lunch afterwards! 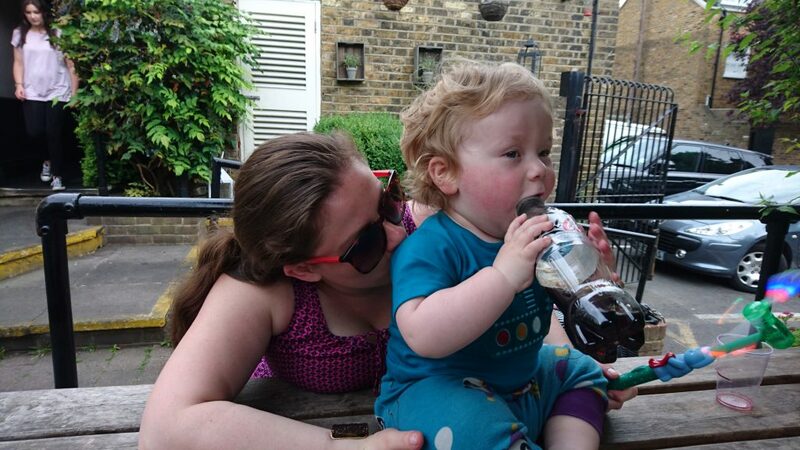 Acting like a petit singe at the pub, just because! I didn’t go for a walk on the green! Forget about that! It was Sunday! We were also pleasantly surprised to see that there was no queue for the loo or to park the pushchair. I have been to events before where you can wait 20 minutes just to do so! I think it’s very important when you attend a children’s event. Kids always need to go at the worst time… The changing facilities were also quite big and I didn’t need to wait at all when I needed to change Baba. Mats, wipes and other stuff needed were available. A massive tick to the organisers for this! I am always organised and have the essentials needed if we go out, but it’s fab to have something all planned in case! Overall, the organisation was very good. The staff was very friendly and on task. They knew what they needed to do and directed us gently so the show started on time! 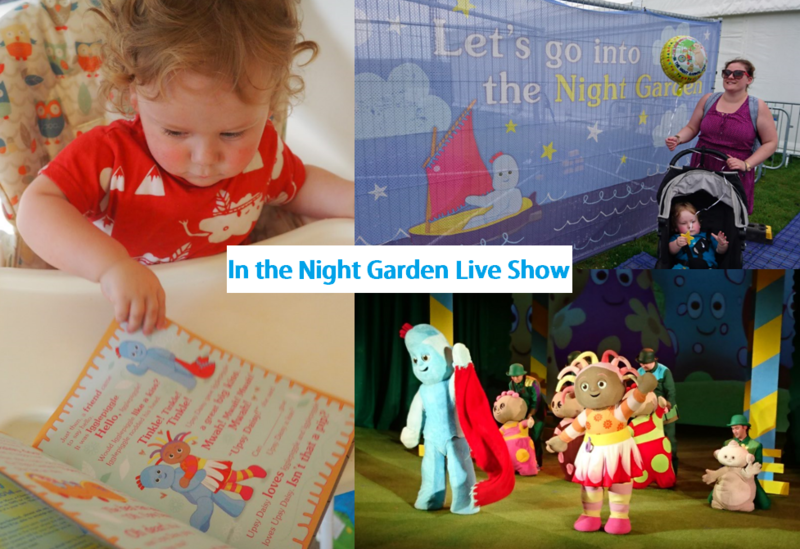 If your little one has been watching In The Night Garden on TV, it’s a must to see the live version. You will be sure to find the same magic moments and all the famous characters such as Makka Pakka or Tombliboo Ooo. Baba was simply captivé! I won’t ruin it for you if you want to go and see it for yourself, but you can be sure that you will witness the adventures of all your favourite characters! The music is really nice and the acting is so lovely! I saw many children gobsmacked in the audience! Even Baba was all smiles. I thought he would have been a bit young to make a link between the live show and the TV programme, but it was obvious that he was recognising it. He was absolutely loving it! And everyone attended the party! The stage was quite simple but effective as it was easy to come and go at any time. When you are out with children, they never stay still or want to go to the loo at any moment! There is nothing worse than having to ask the entire row to stand up. A little tip on the way: the stalls are so nicely set up that you have a great view wherever you sit. We were seated quite at the back and I can frankly say that we saw the entire spectacle without any problem. Unless you are adamant to be right at the front, I would not bother buying a premium ticket. The show is a dream come true for any fan! In the Night Garden Live is simply gorgeous. Within less than an hour, I was back at home watching our favourite TV programme (oui oui mon préféré I promise) with Baba. Plus the smile on his face during the entire event proved to me that it was an afternoon well spent! So happy to be part of the magic! 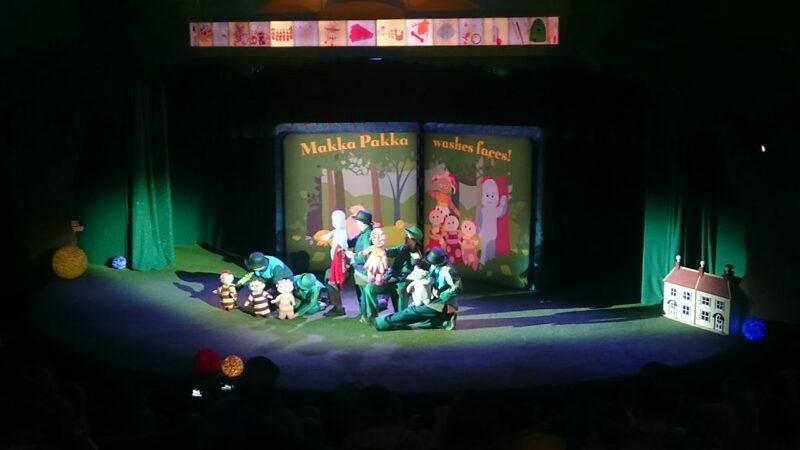 You can see all the fameux personnages like Igglepiggle, Upsy Daisy and Makka Pakka brought to life before your eyes with beautiful costumes, magical puppets, enchanting music, and breathtaking projections that make it feel like you’re actually in the Night Garden. I particularly loved the fake sky. It was very peaceful. If you watch the show, you will know that it is a very cute and relaxing family day out to attend. The show is over. 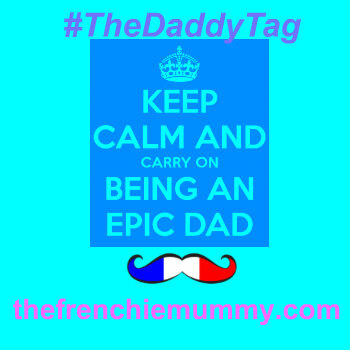 Both Baba and Frenchie Mummy are beaming with joy! Plus you have the choice to see two different stories. 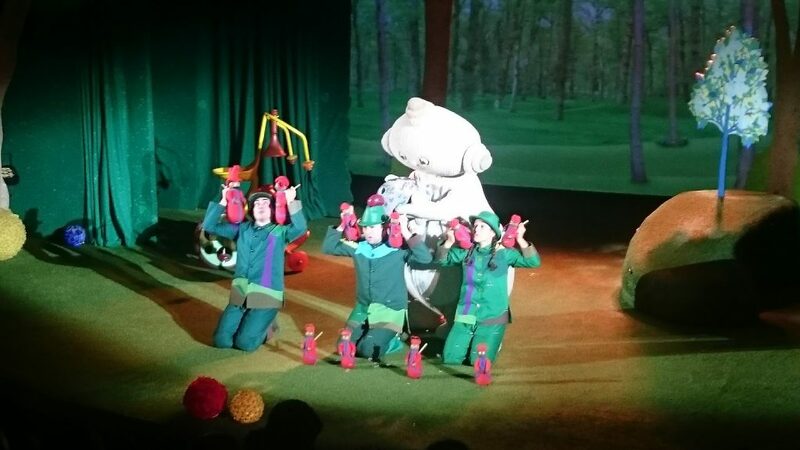 We saw the In the Pinky Ponk show, but si vous préférez Igglepiggle, go and see the In the Ninky Nonk show. With prices starting from £14.50 (it’s more expensive on the weekends), it’s a must-see for any fan of this magical world. 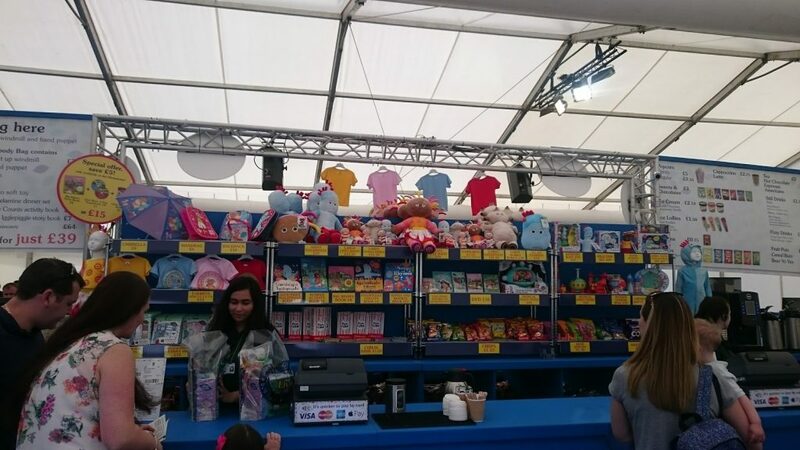 In the Night Garden Live Review – Maybe a bit too much of merchandising? Baba being barely 1 year and a half, I am lucky enough that I don’t have to go through the whole ‘Mum I want this!’. However, I think it would not have been the same if he was older. The show being lovely and simply magical, I was actually a bit surprised to see the amount of merchandising you could buy there! What should we get? There is so much choice! Even though Baba could not technically ask for anything, we ended up buying him a balloon and a light-up windmill (that he broke two days later! ), but there was so much choice there, it was a bit crazy! Plus it would add up very quickly on your budget. You can also meet a character but we decided not to do it as it was at an extra cost. Parents are waiting to meet a character. Feeling like you want a bit of magic in your life? Or do you simply want to see a great show with your kids? Then make sure to book your tickets here! 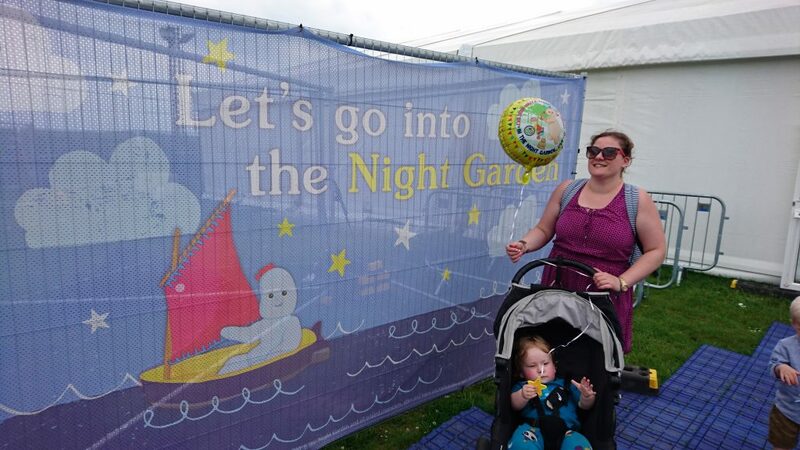 Thanks for reading our In the Night Garden Live Review! Disclosure: We were invited to the show (Grumpy Boyfriend included! He really wanted to see that!) in exchange for an honest opinion. 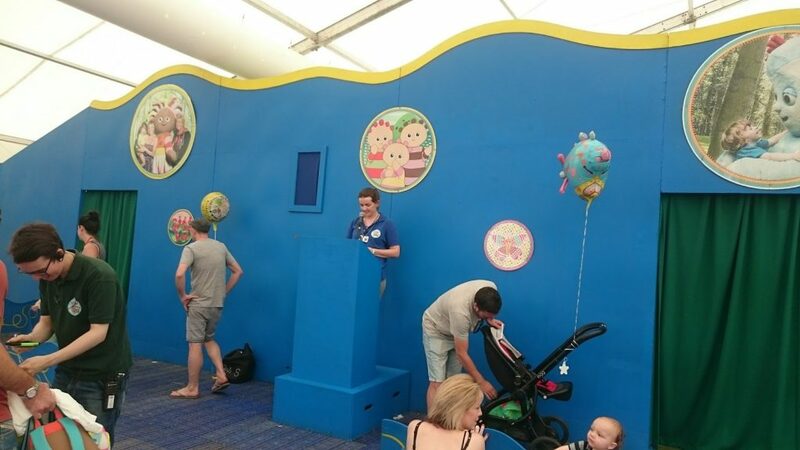 Seems like a really accessible show for kids- glad there was no queue for the loos- that is such a bonus with toddlers! This looks like such fun! What a bonkers programme it is! My older son is 5.5 years so too old for this but my younger one is 10 months & starting to watch CBeebies although not that late as he goes to bed by 6pm so manages to miss In the Night Garden but I reckon this would be a lovely day out for him in the next few months if the show is still on. 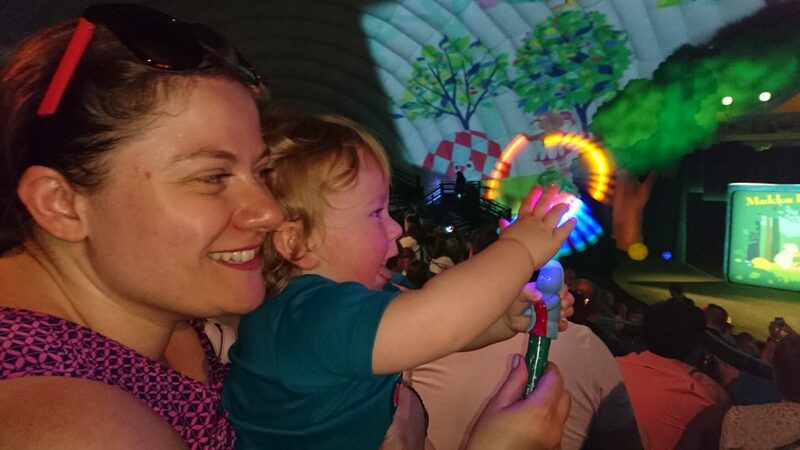 I’d love to take our two year old daughter to a live show, though the idea does make me feel a bit nervous! My kids would love this show. They are huge fans of In the night garden. 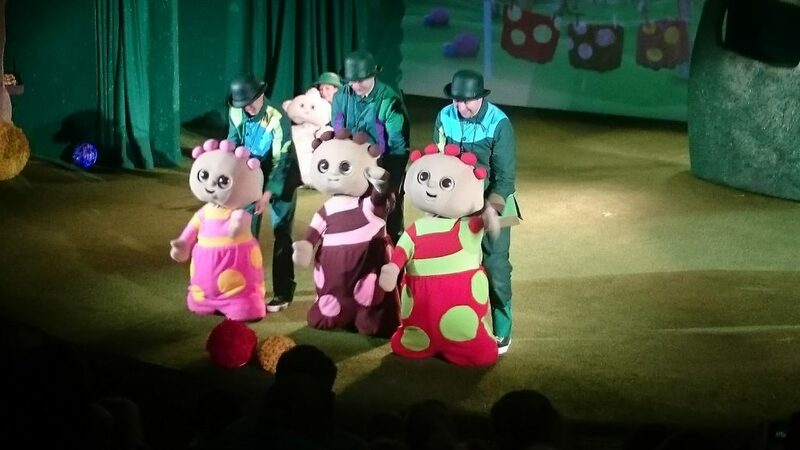 I love how production companies are bringing children’s favourite characters to life on stage. We saw Room on the Broom earlier this year and it was brilliant! Ooh I’d kind of thought of staying clear of this because I wasn’t sure if it’d be worth it but you’re review has swayed me! Sounds like it was really memorable for all the right reasons. We have been to see this show twice with my daughter and she absolutely loves it – it’s really quite magical! My older 2 have just about outgrown this show so far but Zach is heading towards the right age! It’s a shame about all the merchandising but I suppose that it the world we live in! 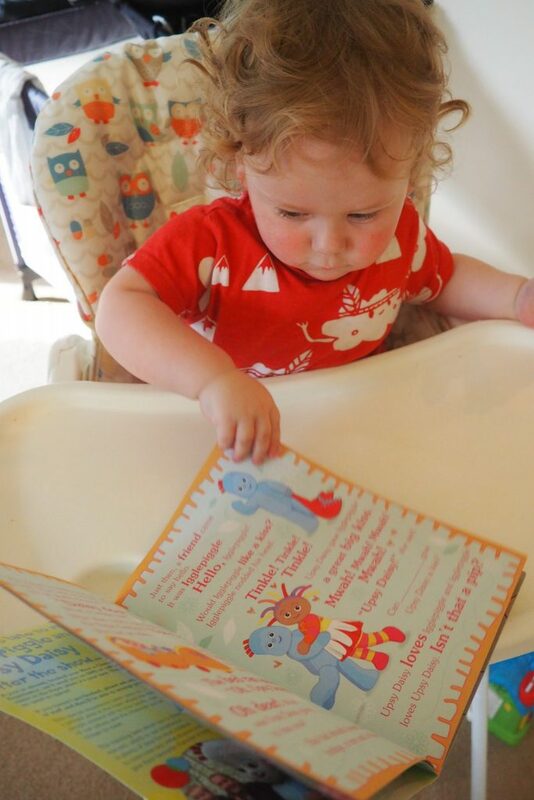 Aww this looks amazing – my little one loves Iggle Piggle! Previous Previous post: Living Arrows 23/52 – Out and About!